Replacing a sewer line is every home owner’s worst nightmare. Digging up the problematic pipes can destroy your foundation and yard. The heavy equipment and numerous technicians required to do the job cost a small fortune. Worst of all, your life is utterly interrupted while work is being done. You have to haul water in and waste out since your plumbing has to be shut off, or you have to vacate your home altogether. The traditional method of pipe replacement involves digging a trench to pull the pipes out and replace them. This means the area above the pipes is completely destroyed. 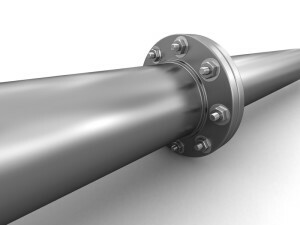 Trenchless pipe repair only requires a few small holes at the entrance and exits of the pipes that have to be fixed. Your yard, landscaping, and home don’t want to be torn apart; they want you to get trenchless pipe repair. Trenchless pipe repair costs are lower than traditional methods because trenchless CIPP methods require fewer technicians and involve less working hours. Also, the heavy machinery used to dig down, pull the large pipes up, and put new ones in are not needed with trenchless methods. Home owners who use trenchless pipe installation also save because their lawns don’t have to be restored after the work is done. Trenchless pipe repair utilizes non-invasive equipment which results in a significantly lighter ecological impact throughout the repair process. When your home is undergoing plumbing repairs, you cannot use your showers and faucets. To flush the toilet, you have to pour water that you have trucked in from another source into the tank rather than just pulling the handle; and that is only if the pipes being replaced aren’t the outgoing ones, in which case you are restricted to a porta potty. With traditional pipe repair, you will have to live in these conditions for weeks. With trenchless pipe repair, the work only takes a few days. Even less for smaller repairs! When your sewer lines need to be replaced, using a pipe repair contractor who specializes in trenchless CIPP repair methods could really save you a lot of time, money, and trouble! Have you ever needed to replace any pipes in your home? Did your pipe repair contractor use dig-and-replace methods or trenchless methods? We would really like to hear about your experience. Please leave us a comment below!